A RUP LIFE: New Science is a Hit! New Science is a Hit! 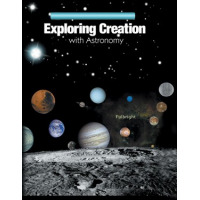 I mentioned a few post back that we switched sciences to Apologia Astronomy. We are currently on chapter 3 - already. This is good and bad. My kid loves this curriculum because of the activities and experiments. I love that part too. I don't like how easy it is and how I have to add to it. So overall I would say this is a 1-2 grade class and should be used first (I haven't seen botany that might be easy too.) I have a feeling come February we will be buying yet another book in the series. I'm not sure but I'm leaning towards Anatomy. What I think will happen is he will do half of anatomy this year and half in the fall. Then he will pick up with Chemistry and Physics. So hopefully my thoughts will help you with your decisions.